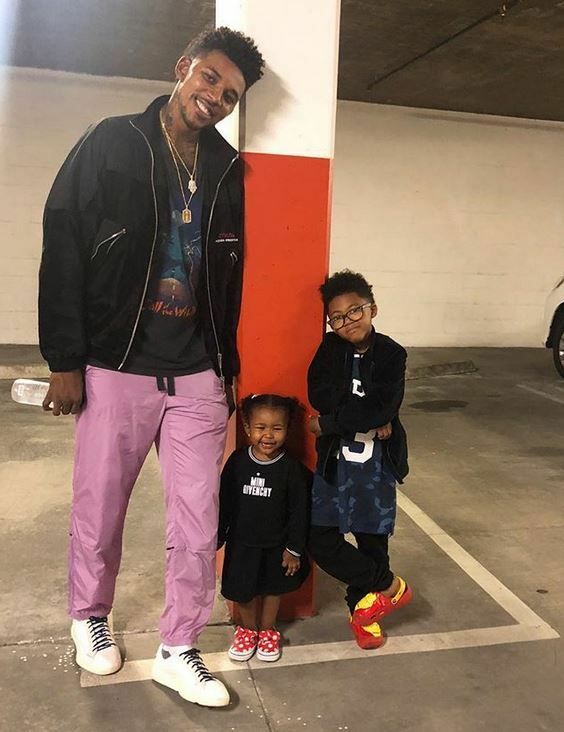 Nick Young is about to be a dad again! 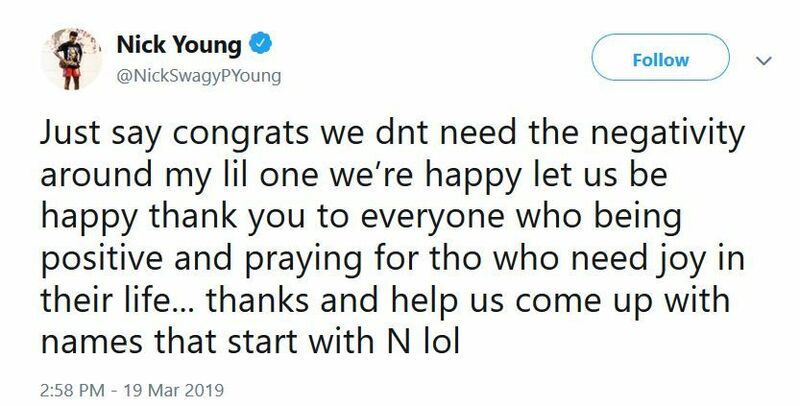 The NBA baller - who was waived from the Denver Nuggets in December - hopped on Twitter to announce he's gearing up for baby No. 3. We see what he has been up to during all this free time. We assume the new baby is with his children’s mother/on-and-off longtime girlfriend Keonna Green, based on his lovey dovey dovey social media comments and posts. Earlier this month, he hinted at wanting another baby with Keonna, whom he has been dating on-and-off since high school. The 33-year-old - who was once engaged to Iggy Azalea - took his son Nick Jr. to the Captain Marvel LA premiere where he dished on wanting another baby with his 29-year-old girlfriend. “One more,” he told US Weekly on the red carpet. Now, they just need suggestions for another N-name to stay with their theme. "We practice every damn night." Coach Kobe and The Mambas cover SLAM 221. Link in bio for our story. Kobe Bryant's daughter Gianna Bryant is following in her dad's footsteps. And he's right by her side to guide her all the way. The NBA icon (aka Black Mamba) coaches his 12-year-old daughter and her AAU team called The Mambas. And coach Kobe plays NO games. They practice every night during the week. Not only is he coaching, he's also working on young adult novels, an ESPN show, and he's producing a podcast. You can read their full profile here.